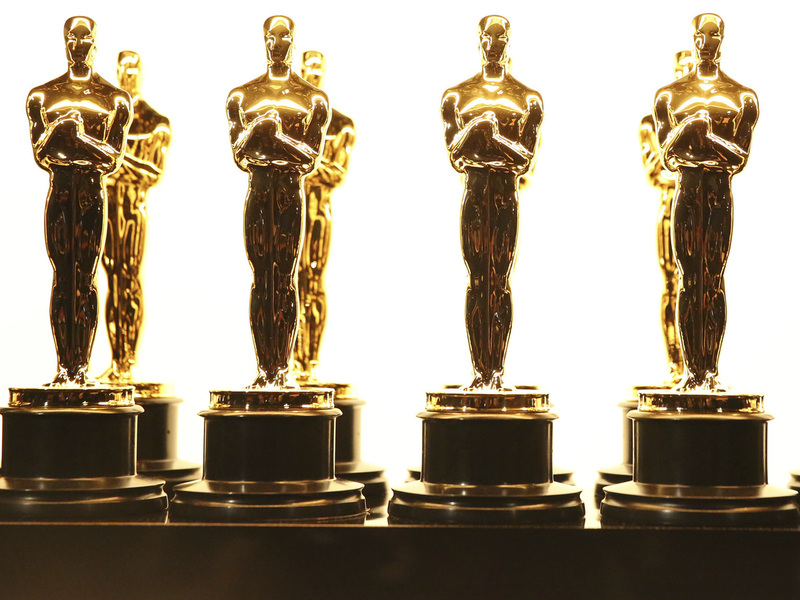 Opinion: Critics Nix Pop Flicks Pick For Oscar Fix The Academy of Motion Picture Arts and Sciences is being criticized for changes to the annual awards. Do we really need a category for "Outstanding Achievement in Popular Film"? Oscar statuettes are seen backstage at the Oscars on Sunday, Feb. 26, 2017. The Academy of Motion Picture Arts and Sciences got panned this week for changes they announced to their annual awards. Oscar viewership has declined 39 percent since 2014. Lots of people now watch programs on streaming services, or game casts on their iPhones, rather than real-time television. The Academy wants more eyeballs. But they were roundly criticized by critics, actors, and directors for creating a new Oscar category for "Outstanding Achievement in Popular Film." The last movies to win Oscars for Best Picture were The Shape of Water, Moonlight, Spotlight, and Birdman. Artful, successful films, but not boffo smashes, like any film from the Marvel comics universe. As the Hollywood Reporter put it, "The gulf between what the public buys tickets to see and what the Academy nominates and awards has never been greater." But Mark Harris, a critic, tweeted, "It truly is something that in the year Black Panther, a movie made just about entirely by and with black people, grosses $700 million, the Academy's reaction is, 'We need to invent something separate...but equal.' "
A change the Academy hopes will slenderize the ceremonies to run just three hours is to present fewer awards during the live broadcast. They'll presumably still show the nominees for all the acting awards and winner's speeches. They are famous, glamorous faces who will wear Armani and Chanel, drip with bling, and thank producers, agents, their families and high school teachers for believing in them. I'm always moved by those speeches. The people who probably won't be shown live during the regular broadcast are the nominees and winners for Best Film Editing, Sound Mixing, Production Design, Sound Editing, Makeup and Hairstyling. They are known in Hollywood as the "below-the-line" people, the technical crew, who work on film after film, year after year, and drive from the San Fernando Valley while it's still dark to start work by dawn on cold film sets or in airless editing rooms. Designers don't compete to dress them for their big, perhaps only night, at the Oscars. The folks below-the-line are the artisans and craftspeople that make a movie speak and sparkle. I've enjoyed seeing the folks below-the-line take their place on Oscar broadcasts alongside Steven Spielberg, Chadwick Boseman, and Meryl Streep. You'd think one night a year, Hollywood could find the time to acclaim them for the magic that would be impossible without them.